Last April, shortly before patch 4.1 came out, I ran a survey for WoW players. It was basic information, such as their gender, age, their characters, and what they liked to do when playing. I submitted the survey to various places, but the only place that I got any information from was the MMO-Champion forums. 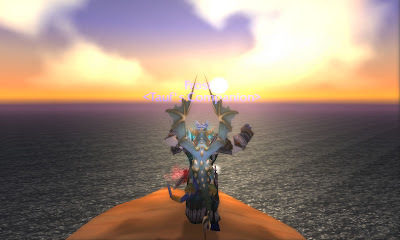 Now, because my information came from out-of-game resources and only 1 resource in particular, be very wary of taking things and applying them to the general World of Warcraft population. So if you see some result that says, "12% of characters played by the respondents were paladins" that doesn't mean that 12% of all characters are paladins. However, a result such as "Men tend to play warriors more often than women do" is one that could very well be applied to the general WoW population. I had a total of 1591 respondents before I pulled the data for analysis. Out of that, 153 selected female as their gender and 1438 selected male as their gender. For the females, the average age was 24.38 years with a standard deviation of 5.89 years. For the males, the average age was 22.22 years with a standard deviation of 6.04 years. If you went just by this, it would imply that the percentage of female WoW players is between 9% and 10%. Other studies have been done which strongly refute that claim. The likely factor here is that female WoW players just don't go to MMO-Champion as often as male WoW players do. In fact, in my other, previous study, only ~6% of the MMO-Champion respondents were female whereas other sources, such as WoW.com (as it was known at the time) had 22% female respondents and the official World of Warcraft forums had ~19% female respondents. Other studies have shown that the percentage of females in the WoW population is 30% or higher. What we see from this is that women tend to participate in the WoW community differently than men do, and may be a good source for a future study. This would also seem to imply that the average of a female WoW player is higher than that of a male player. Again, you can't make that distinction because women participate in the WoW community differently than men do. You can say that the average age of a female MMO-Champion forum user is higher than that of a male MMO-Champion forum user. From my information, the 153 female players listed of total of 652 characters played, for an average of 4.26 characters per respondent. The 1438 male respondents listed a total of 5284 characters played, for an average of 3.67 characters per respondent. This doesn't mean that women necessarily play more characters than men do, but may also reflect a difference in whether they felt a character was worth listing as a character they 'played'. Over the course of the coming weeks, I will be detailing much more information that results from this data set. There's some really great stuff to come, so stay tuned to this blog. When new info is posted, an announcement will go out on my twitter. I really look forward to getting all of this posted.